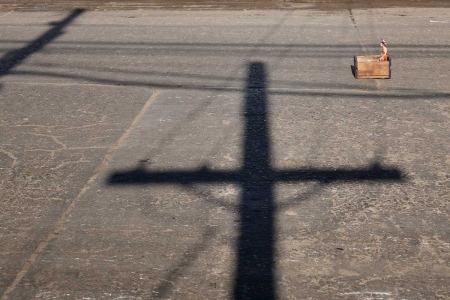 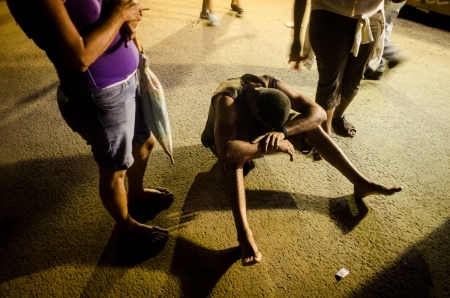 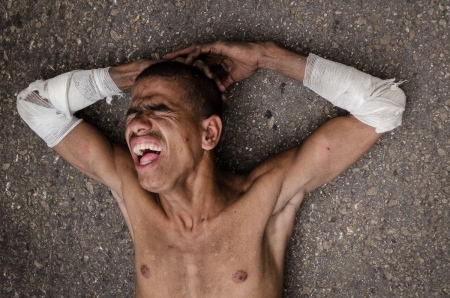 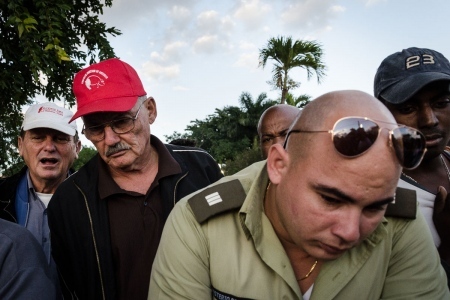 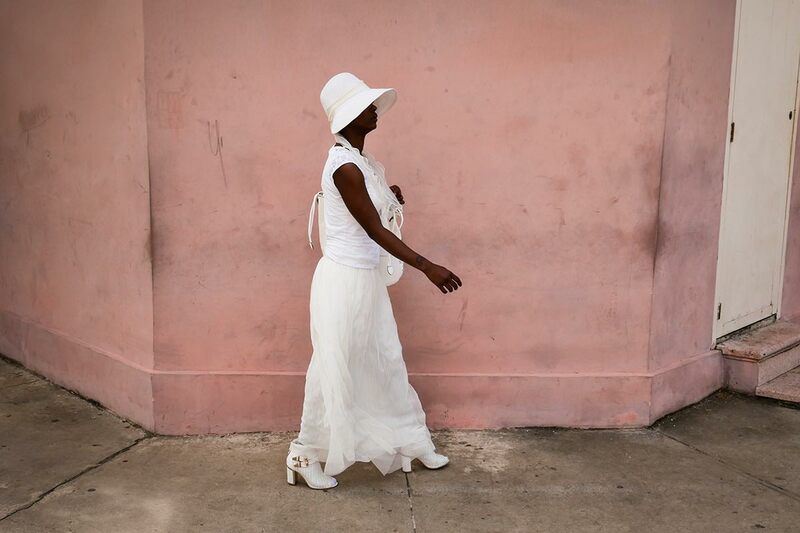 Religion in Cuba was concealed and even persecuted for many years since the Revolution triumphed in 1959. 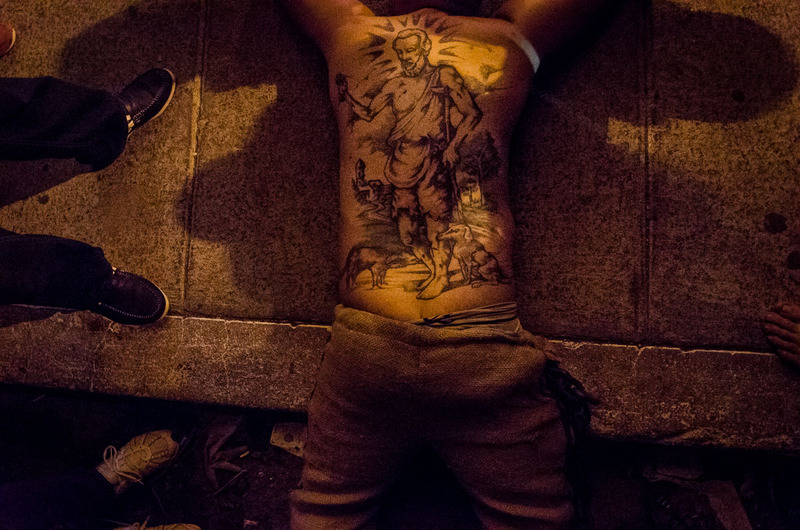 This hasn’t precluded the pilgrimage in honor of Saint Lazarus (Babalú-Ayé in the African pantheon), a miraculous saint who helps people heal, mainly of traumatic and skin ailments, to keep being celebrated every December 16th and 17th. 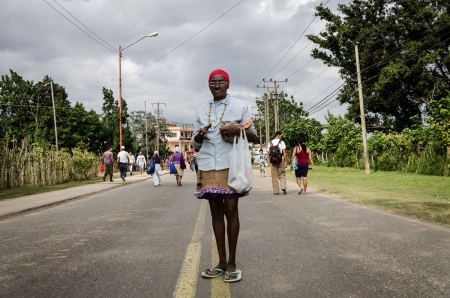 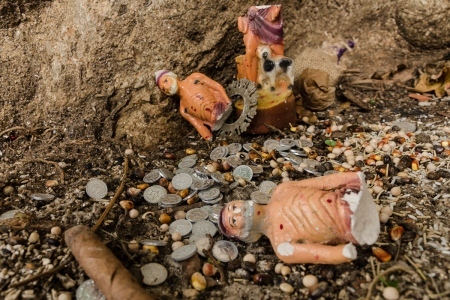 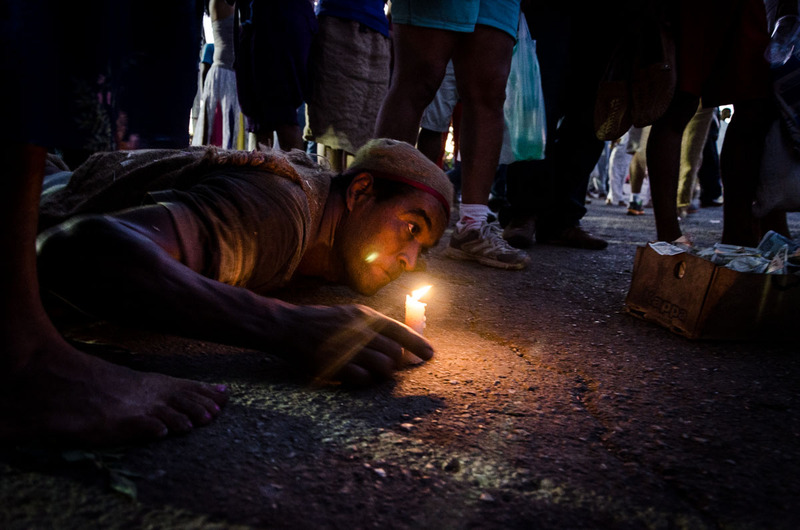 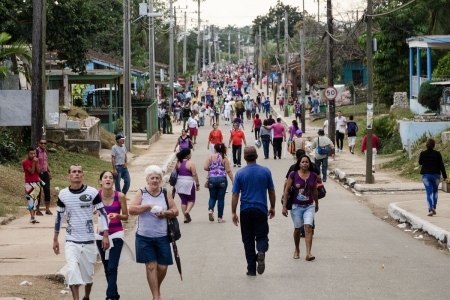 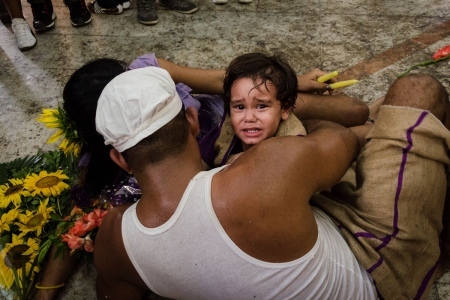 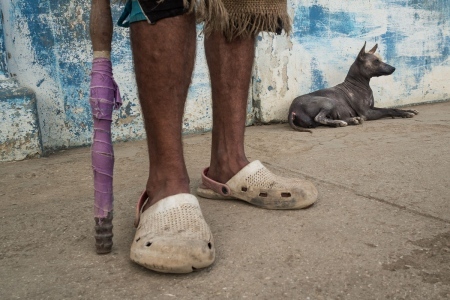 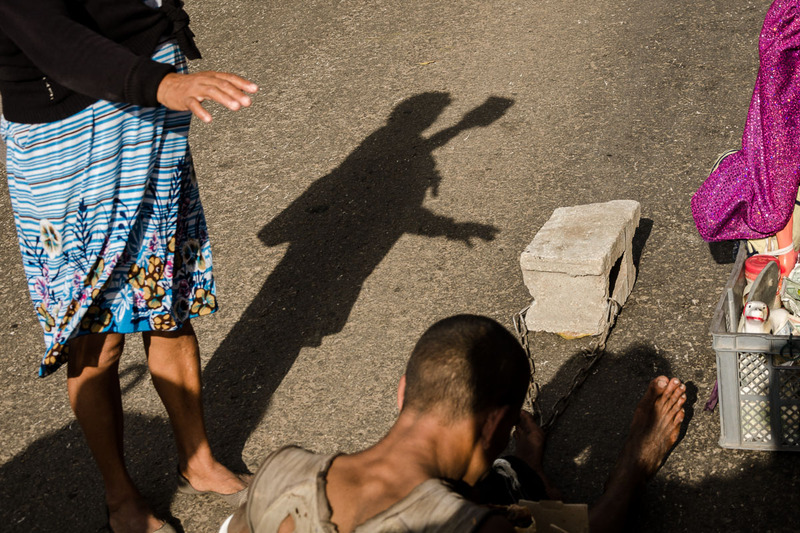 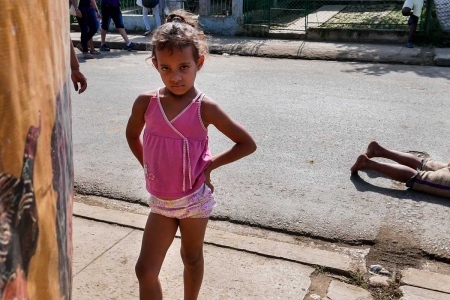 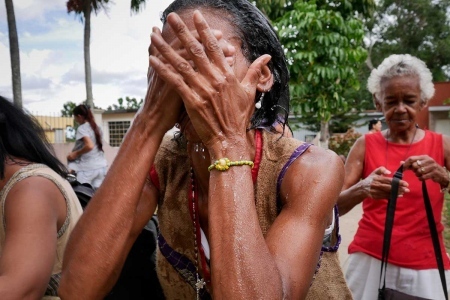 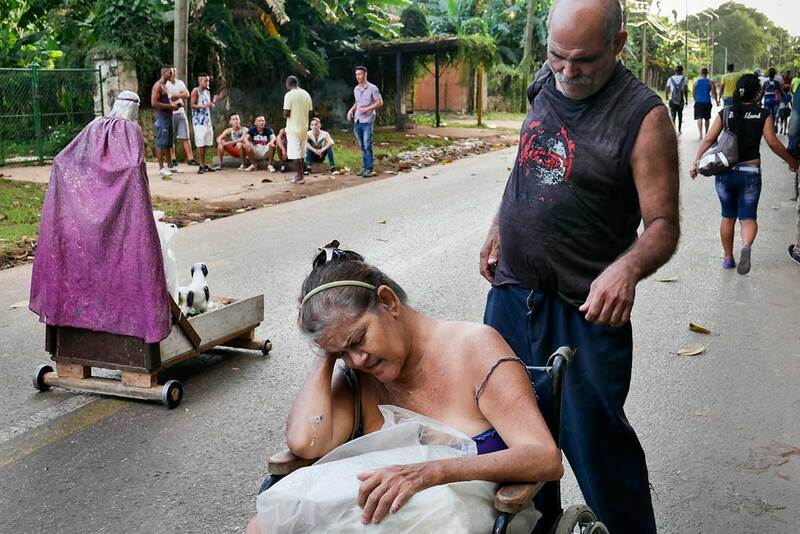 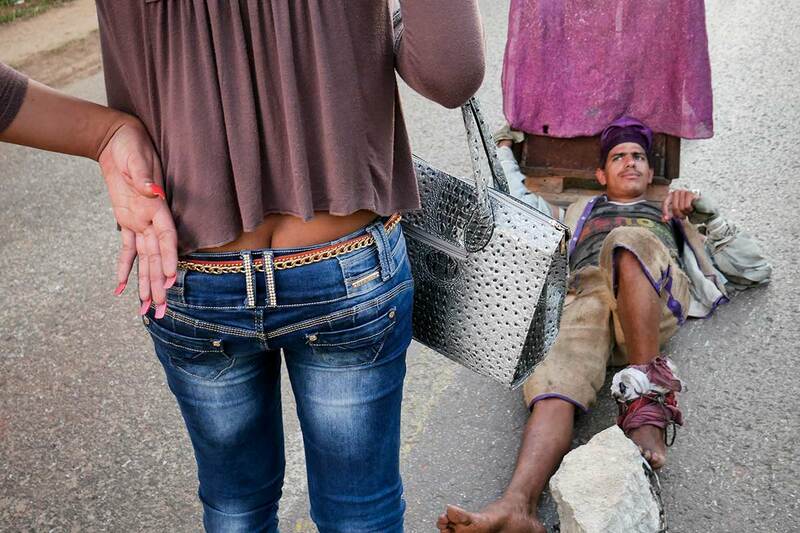 To show their gratitude, pilgrims –usually wearing some violet-colored piece of clothing- walk for several kilometers on their knees or dragging stones up to the Hermitage of Rincón, a town located some 20 km from Havana. 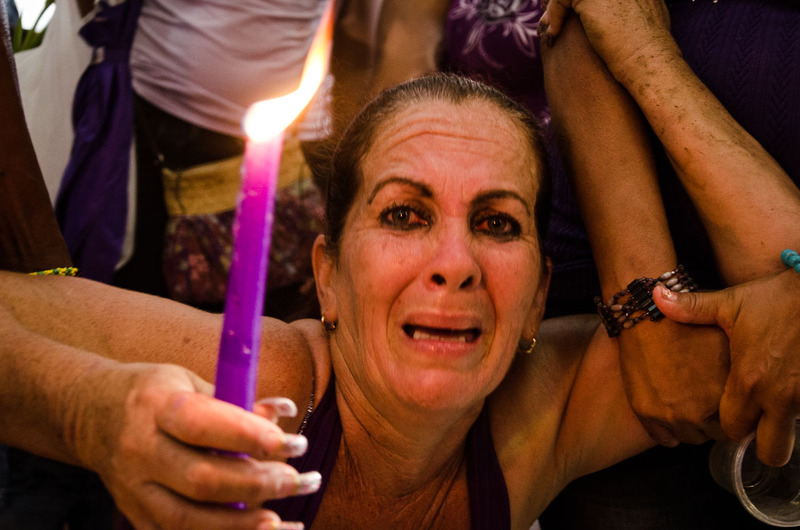 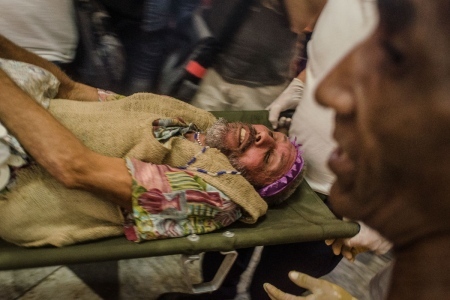 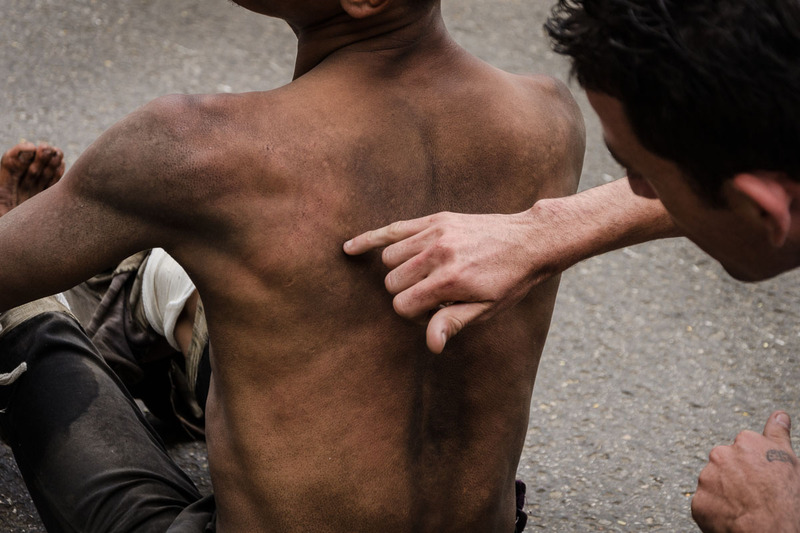 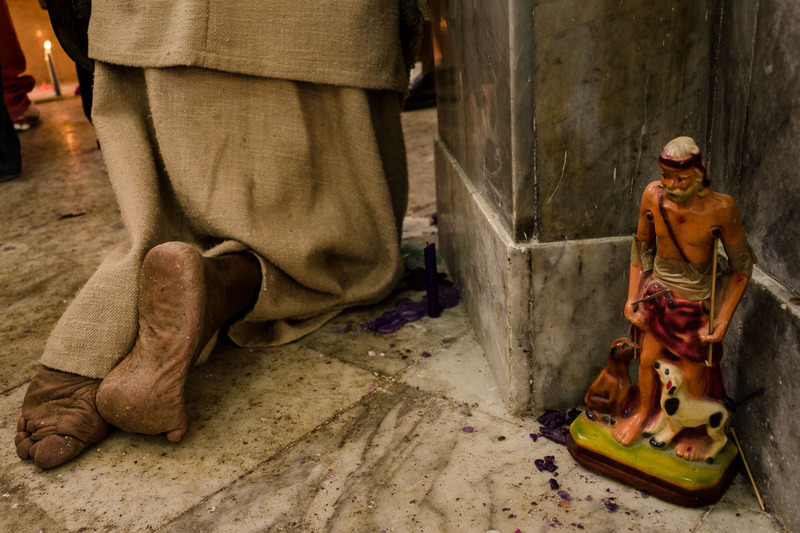 It’s a day of pain, beggars, sick, chants, candles, dogs and faith, a "Violet colored faith". 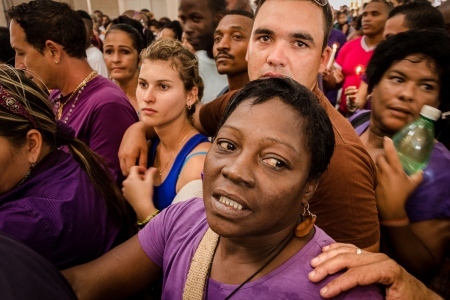 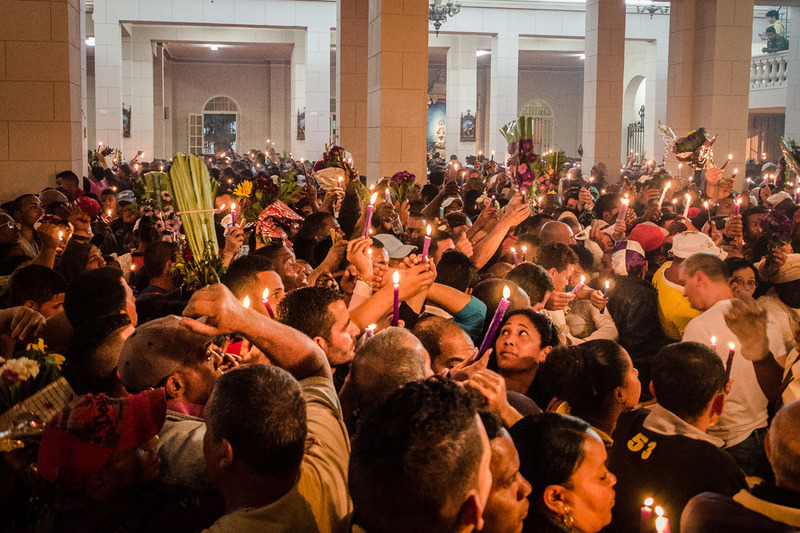 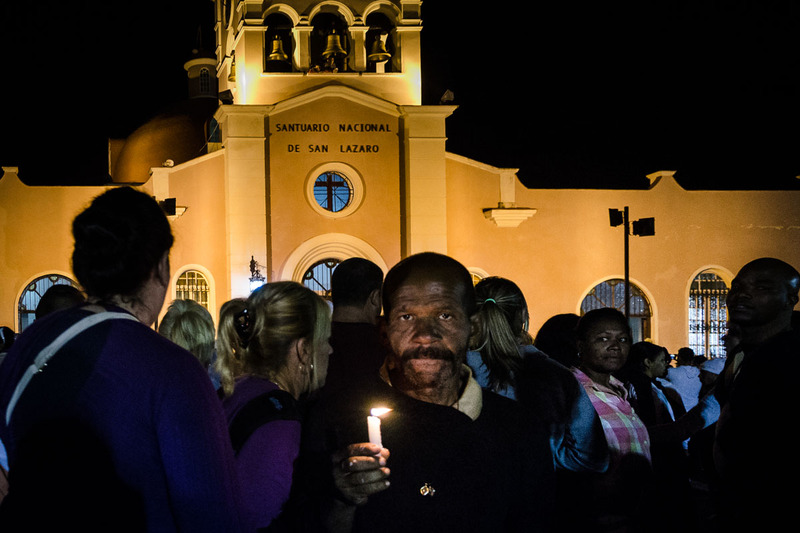 Re-emergence of religion in Cuba is evident, and the number of worshipers attending church with violet flowers to show their gratefulness or to ask something of the “old one” (as many people call the miraculous Saint Lazarus) is steadily increasing.